It’s the Hawaii of your dreams—truly an unforgettable Maui experience. The entire excursion is packed with hiking, swimming, and sightseeing. The day’s premier stop is the National Park at Oheo Gulch, where you’ll encounter a dramatic 400ft waterfall, incredible bamboo forest, and lush jungle. Join us in an adventure of a liftime on the Hana waterfall and rainforest hike. You’ll have an epic day with a multitude of postcard moments, on both the rugged coastal exterior of the island and in the thriving interior of the rainforest. Hike 4.5 miles in Maui’s National Park. This area is sometimes referred to as “Seven Sacred Pools,” a network of delightful pools and cascading waterfalls. Hana Hwy: Drive the famous road with us; 2.5-hr. drive from Central Maui. If you’ve ever closed your eyes and daydreamed about Maui—hiking the rainforest or swimming under waterfalls—the Hana Full-Day Waterfall and Rainforest Hiking Tour is for you. 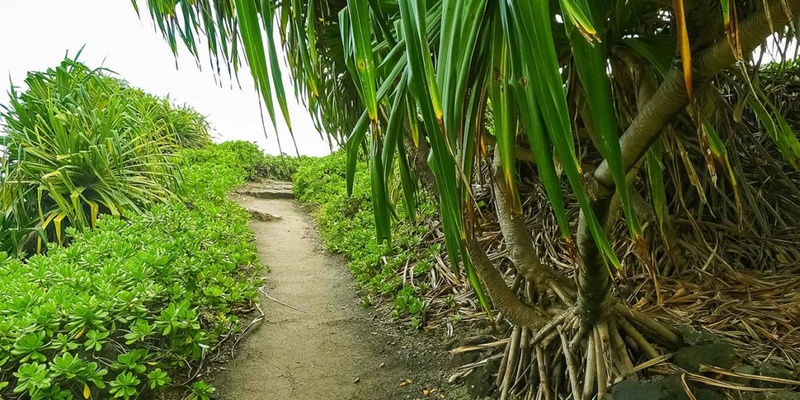 An unforgettable Maui experience, this tour covers it all: a four-mile hike in Haleakala National Park, a stop at the Seven Sacred Pools at Ohio Gulch, and a walk through an iconic bamboo forest. Just make sure to have your camera ready. This tours is filled with memories in the making.